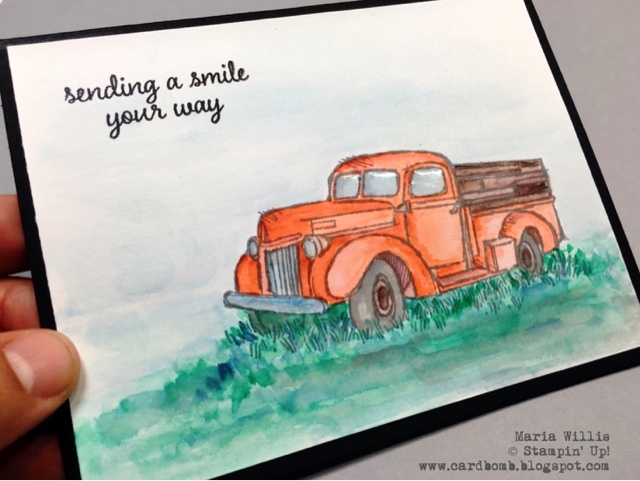 Cardbomb: Sending a Smile Your Way-Country Style! Happy middle of the week to you! I just wanted to send a smile your way and wish you a lovely day today! 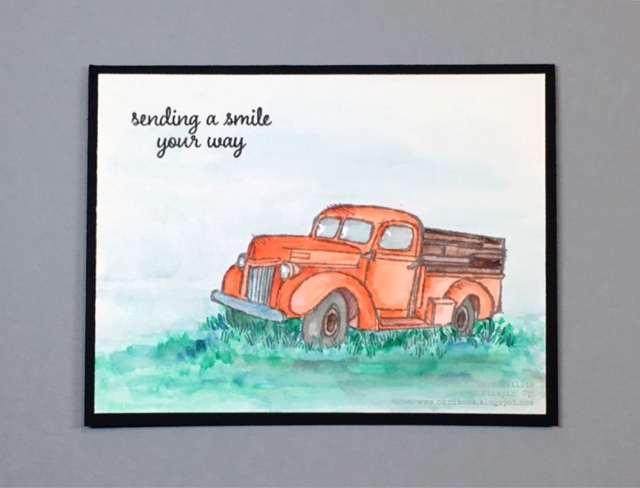 I had fun watercoloring this awesome truck and grass but did you notice that the windows are glassy? I used my fine tip glue pen to apply some gloss to the windows and it just looks so neat now that it has dried. Have you ever tried that before? Happy Wednesday and have a great week! Come back tomorrow if you can please as it's OSAT blog hop day and we've got 18 stampers from around the world with amazing projects to share!